Browsing the Internet through your television. Adjusting the thermostat and locking up via an app when you’re miles away from home. Receiving alerts for missed calls to your landline from your cellphone. These are just a few examples of the way tech has been seamlessly incorporated into our daily lives. Fifteen years ago, though, it would’ve seemed like something possible only in science fiction. With technology always advancing and Internet-connectivity being added to more and more devices, it’s fair to wonder what other common home items will be online in the future. When Microsoft introduced multitouch capabilities to its desktop operating system six years ago, it cemented a new reality in which multitouch input became a standard component of any operating system, not just a feature relegated to mobile devices. 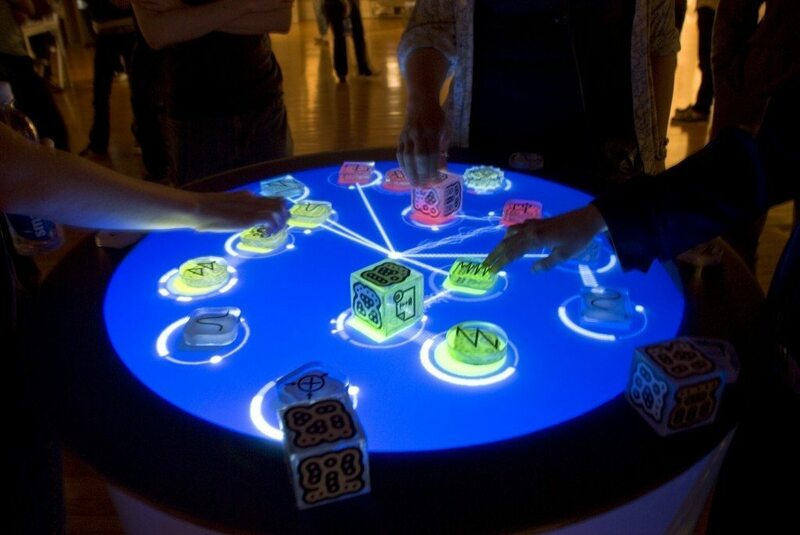 Prior to the launch of Windows 8, however, Microsoft was already in the business of multitouch furniture. The Microsoft Surface, as it was formerly known, was a multitouch tabletop screen found in bars and hotels across the country. The company envisioned a consumer version for homes that could be mounted horizontally or vertically, used by multiple individuals at once and connect to nearby smartphones to access their apps and other content. While the device has yet to reach markets at an affordable price for consumers, the multitouch coffee table or kitchen counter is seemingly just around the corner. Manufacturers are increasingly offering connected appliances, but GE’s Super Fridge concept is a sign of the future when it comes to multitouch furniture. The Super Fridge offers Internet connectivity so you can check your email or lookup a recipe, a touch screen monitor and a food scanner that tracks food as it leaves or enters the fridge, noting things like expiration dates and quantity. The fridge can also send alerts when items are running low and generate recipes based on the contents of your fridge. Introduced earlier this year, the Sleep Number bed, model X12, fully integrates technology to offer the best sleeping experience possible. Some of the features include the ability to use voice commands to adjust firmness, a tracker that monitors your sleep performance, and a massage option. Users can also enter personal information into a companion app or the provided remote so the software can make adjustments based on your day’s activities. This technology can be adapted for other furniture pieces such as sofas and recliners, allowing users to customize the support level or initiate a massage, all through a small touchscreen built into the arm rest. These are only a few ideas of what’s in store for the future as technology advances and formerly inanimate objects around the home become customizable and interactive for a more streamlined way of life.